She was the 15-year-old girl with everything ahead of her, but what happened to Lynette Melbin on June 5, 1972 remains a mystery. 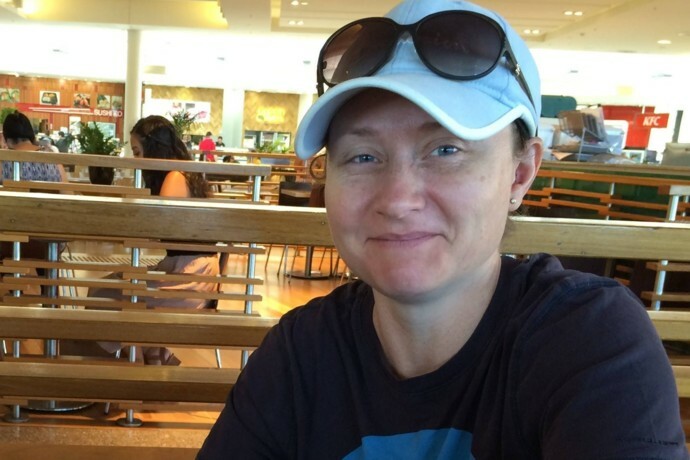 Lynette was last seen hanging out with three of her friends at Penrith Plaza. 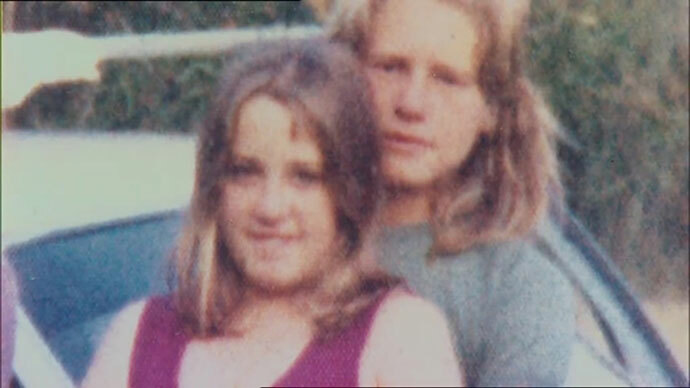 There has been no trace of Lynette since that day in 1972. Speaking with television show ‘Missing Persons Unit’ in 2006, Lynette’s mother, Pamela Melbin, retold the tragic story of the day her daughter went missing. “On the Sunday night she went to babysit her friend’s children in Mt Druitt,” she said. Mrs Melbin finished work at 5.30pm, and said that both she and Lynette agreed that’s when she would be picked up. “When I went to pick her up she wasn’t there,” she said. In 2006, 34 years after her initial disappearance, Lynette’s case was reopened when a witness came forward and identified a man seen with Lynette in the weeks before she vanished. The witness was a former member of the Penrith community, who said they had seen a person with Lynette that was much older than her, and that it was out of character for her to be with him. The witness, who was very young at the time of Lynette’s disappearance, withheld the information under the impression that police had the investigation covered. While it is highly likely that Lynette Melbin passed away long ago, her remains have never been found. If she were alive today, Lynette Melbin would be 61-years-old. In the early 1800s, right in the middle of the suburb now known as Regentville, sat an enormous mansion that would still be considered grand even in life today. But the history of the Regentville mansion is shrouded by mystery as events that led to its demise raised questions that have never been answered. 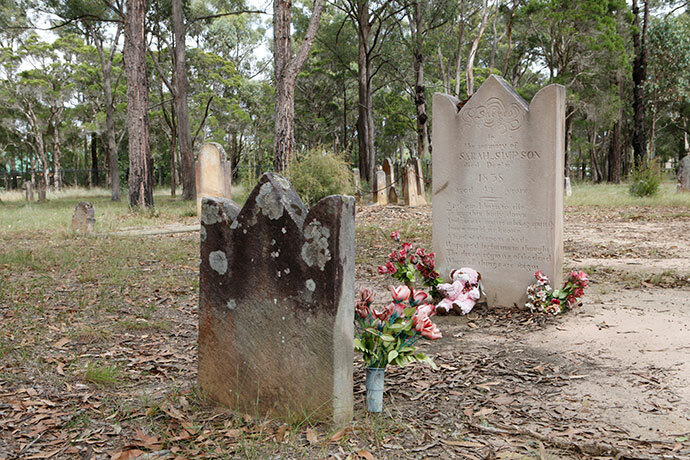 During the years of settlement in NSW, Sir John Jamison acquired 9,000 acres of land in the Penrith area following the 1811 death of his father, Thomas Jamison, a member of the First Fleet. 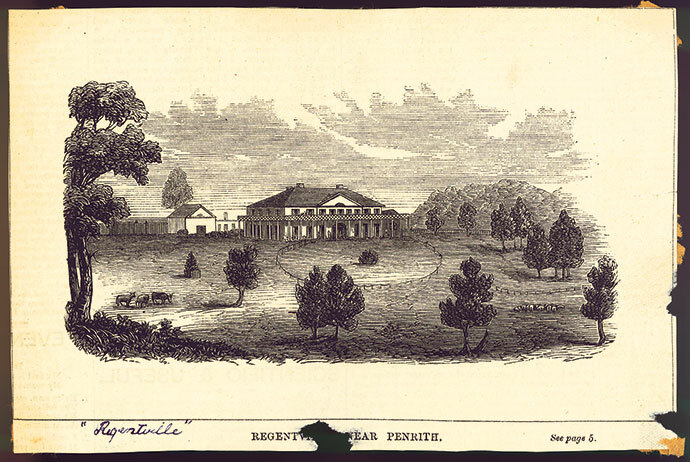 Jamison lived in a cottage by the Nepean River until he commissioned the building of a grand house, to be called Regentville, of which the foundation stone was laid on September 9, 1823. Built using stone and materials from nearby, Regentville was finished the following year. With 15 rooms, including a breakfast room, a billiard room and a library as well as a grand entrance hall, the mansion quickly gained a reputation as being one of the finest houses in NSW at the time. In addition to the house, the grounds stretched over acres and there were a number of other structures, including stables, a bake house, kitchens and a mill. Among these buildings were quarters for the workers and labourers, one of which was a young Sir Henry Parkes. There was a vineyard and groves of fruit trees and the land was also used to farm sheep and cattle. In addition to holding a reputation as one of the grandest houses in the state, it was also known for the extravagant parties held by Jamison. In 1840, however, there was a depression and Jamison was hit hard. He died at Regentville in 1844, aged 68. From here, the mansion fell into disrepair and was empty for years until it was picked up for use as a mental asylum run by a Gladesville doctor. The quiet surroundings were expected to assist in the recovery of patients but the subsequent remoteness of the site meant that those who could afford treatment elsewhere elected to leave. The house again was left empty when the endeavour failed. In 1865 the house and its grounds were leased by the Shiels family, who ran a private hotel. After a few years, the owner looking to end the lease was selling Regentville’s furniture when the mansion caught fire. There were only two maids in the house at the time of the fire, who were woken by the sound of crackling and rushed to the ballroom, where they saw the flames. The occupants of the house and those living on the grounds watched as the house was destroyed and many said that they could not see how the roof could have caught alight naturally. It was concluded in the inquest that “the house was wilfully and maliciously set on fire by some person or persons unknown”. No one really knows for sure what happened to Sarah Simpson (nee Marshall) or how she died nearly 180 years ago. Way back in 1818 Sarah Marshall, a British woman, arrived in New South Wales from the United Kingdom as a convict on the Friendship – a ship used in the First Fleet. Sarah was transported to Australia after she was busted stealing clothing to the value of fivepence. It’s understood Sarah served her sentence obediently, which ultimately earned her the freedom she deserved. During this time, Sarah met a fellow freed convict by the name of John Simpson, a tailor, and moved out west. Reports suggest the pair were very close and had eight children together, all out of wedlock, which was severely frowned upon during this time. But what happened to her on the evening of December 10, 1838 remains a horrifying mystery. Legend suggests that on her way home, Sarah was set upon by a group of men who had been following her in the shadows. “Sarah was brutally murdered in a fit of lust. Her remains were left near her home in Castlereagh, and the cowardly men raced off into the darkness,” freelance journalist, Dane Millerd reported. It’s believed that when Sarah’s battered and scarred body was later found, her partner John Simpson was utterly devastated. John was left a widower, a single father with eight children, trying to piece together what exactly happened to the love of his life. Sarah Marshall, 42, was buried as Sarah Simpson as it’s widely believed that John married her at her graveside to “allow her to pass without sin into the next life”. These days Sarah’s Grave, as it’s commonly known, is a hot spot for ghost hunters and history buffs in the local area. Legend suggests that Sarah continues to harass young men that lurk near her graveside while, at the same time, many young women claim to have seen her ghost in the branches above. St Marys local Katherine Ackling-Bryen dropped her daughters off at school on February 19, 2016, one of them still in pyjamas, with “tears in her eyes”. There has been no contact with her since that afternoon and a Coroner has found that she is most likely deceased. In 2013, Ms Ackling-Bryen had suffered a psychotic episode and was admitted to Nepean Hospital for treatment. Her mother told the Coroner in 2017 that there was “inadequate” follow-up after this admission, with no ongoing therapy or specialist mental health care at the time of her disappearance. Ms Ackling-Bryen was also described to the court by others as “withdrawn and quiet”. “A comprehensive police investigation found no evidence that Katherine may have been the victim of crime or violence,” the coronal findings said. Magistrate Harriet Grahame expressed her sincere condolences when handing down her report two years ago. “It is clear to me that Katherine loved her children deeply, and as the girls grow up I am confident that they will be reassured of this by the loving family around them,” she said. It is the intriguing sub-plot to the 1991 Grand Final that the hands of time have confined to the history books – but it remains one of the greatest unsolved mysteries in the history of the Panthers. A day after Penrith’s 19-12 win over Canberra in the season decider, the party was still going at Panthers Leagues Club when an incredible, almost impossible to believe story took place. Three armed bandits staged a daring $360,000 raid at the Leagues Club and in dramatic scenes, shots were fired and witnesses, including a pregnant woman and her child, had to scramble for cover. The incident happened just before 11am on Monday, September 23, 1991. As the Telegraph reported: “Panthers spokesperson Carl Leddy said Armaguard had officially taken possession of the cash having collected it from the club’s management and exchanging it for a covering cheque. Minutes later three armed and masked thieves swooped on the two guards and escaped with the cash in what police said was an extremely well planned and executed raid”. The three male bandits used four vehicles during the robbery. They had posed as caterers to gain access to the perfect location to pull off the robbery. bigger hit, as the bandits left behind around $700,000 – takings from the Grand Final victory party. Quite incredibly, despite a huge police operation in the immediate aftermath of the robbery and around 40 witnesses watching the heist unfold, the 1991 raid on Panthers Leagues Club remains unsolved.